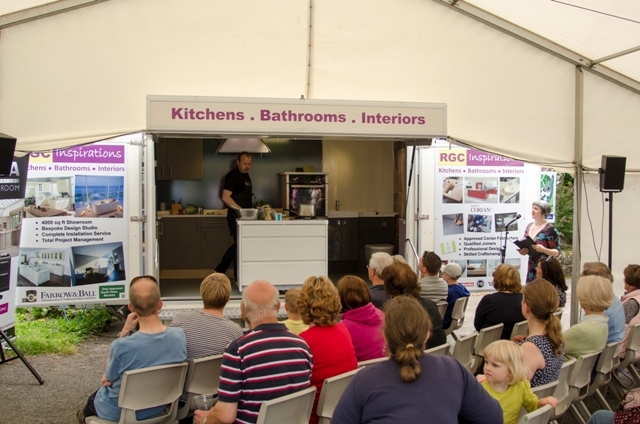 RGC Inspirations were proud to supply the demonstration kitchen for the recent Dartmouth Food Fair. Masterchef 2014 Semi Finalist Michael Sanders re-created his successful pork chop recipe for tasting by the enthusiastic crowds, and Collin Pereira of the renowned Lavani Restaurant in Torquay encouraged everyone to experience the amazing power of culinary India with a mouth watering menu of original crab, prawn and beef delicacies. 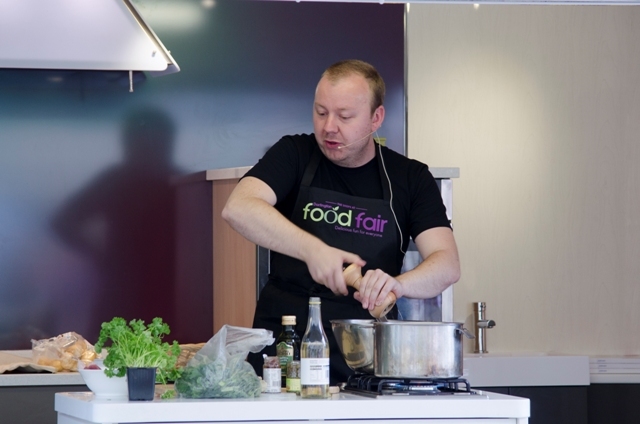 As usual, we were very proud to sponsor and provide the demonstration kitchens, in the Flavel and Avenue Gardens, for this year's Dartmouth Food Festival Friday, Saturday & Sunday 25th, 26th & 27th Oct.
Simon Hulstone from the Elephant Restaurant Torquay demonstrates his skills. 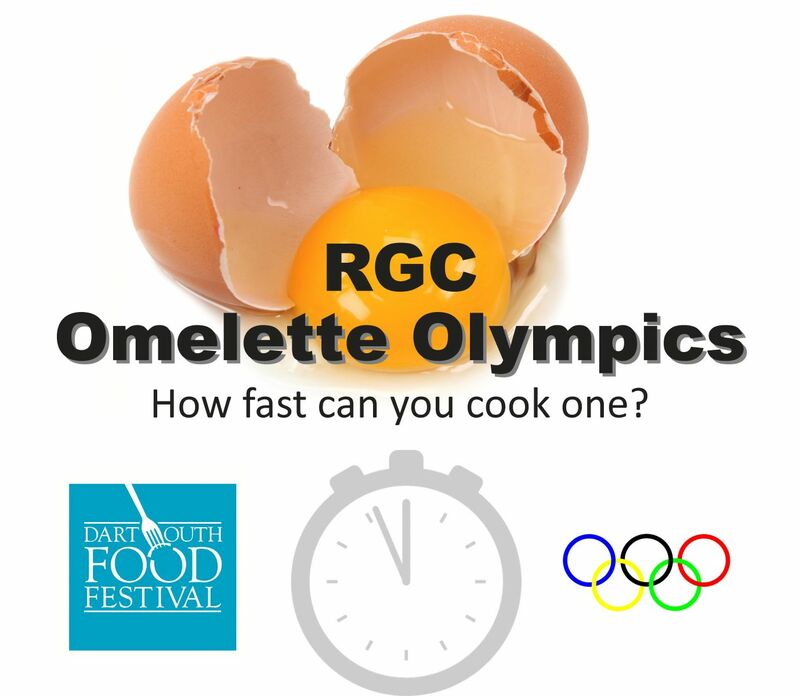 Plus, to add to all the fun and excitement, we are also held the RGC Omelette Olympics for the second year running. The quickest with the frying pan are pictured below with their winners medals and Dartmouth engraved slate cheeseboard prize are; centre Adie Twining and family, and bottom Greame Adams.